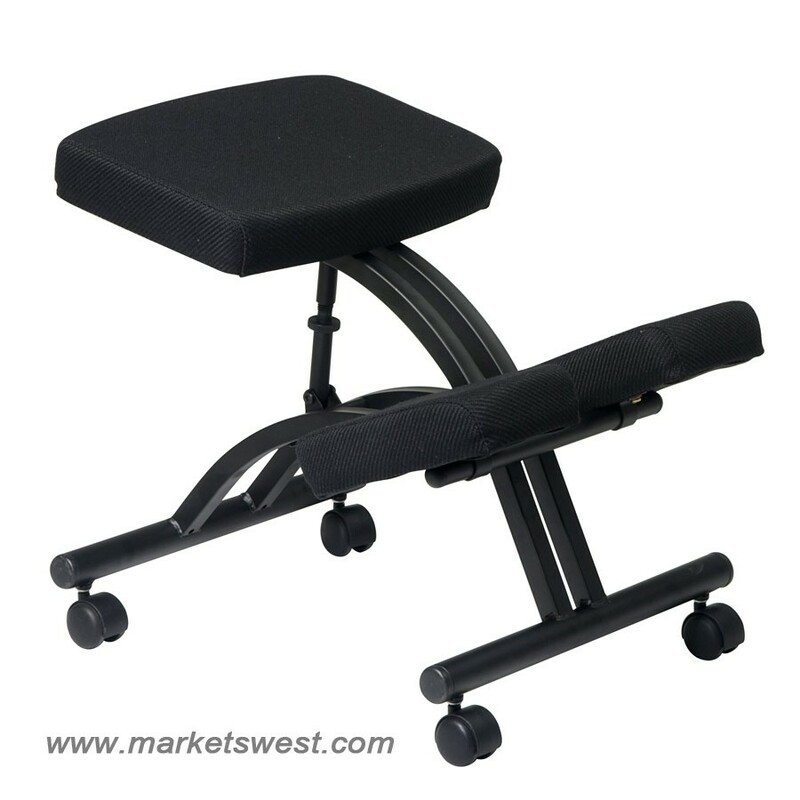 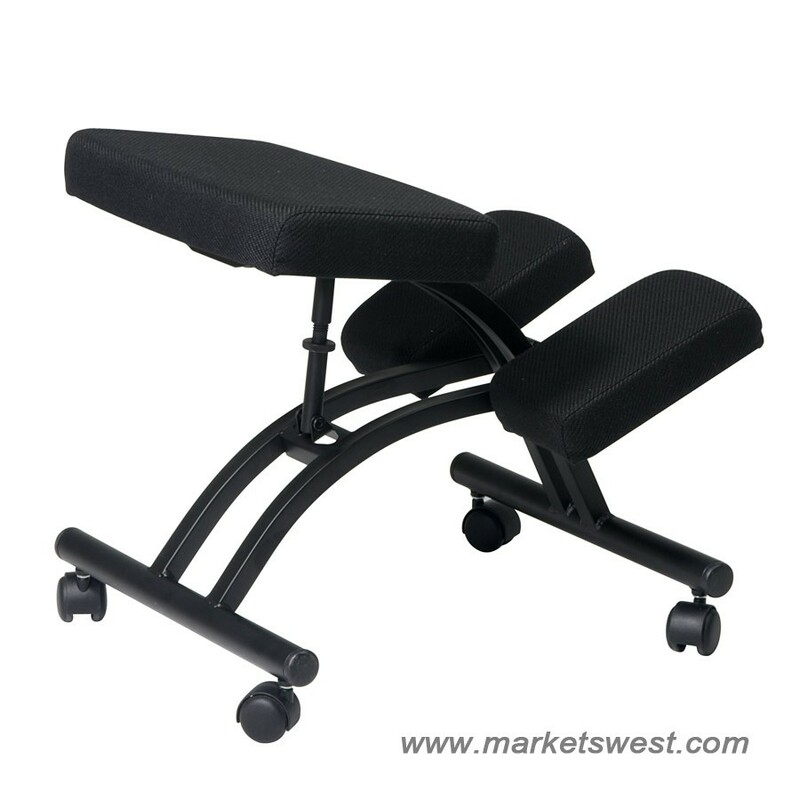 Ergonomically Designed Knee Chair with Casters. Thick Padded Seat and Knee Pads with Memory Foam. Manual Height Adjustment. 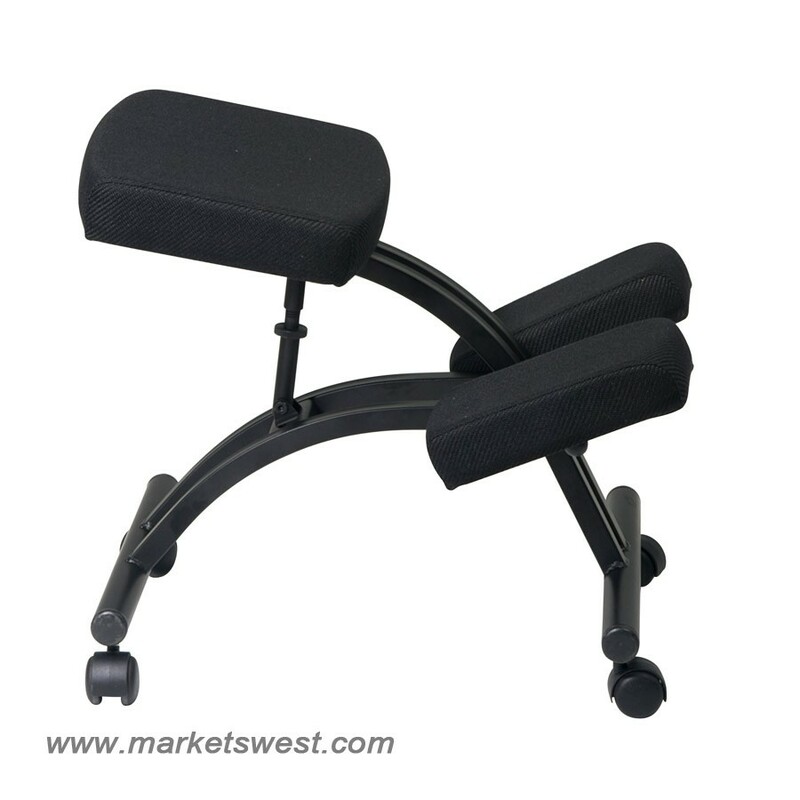 Black Metal Frame with Dual Wheel Carpet Casters.